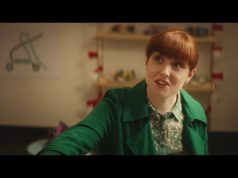 Today, creative agency ROTHCO launch their first campaign for the Irish National Lottery, with a tongue-in-cheek mockumentary TVC, ‘The Celebrations’. Going behind the scenes at Irish National Lottery HQ, it turns out things have changed dramatically since they released their NEW Lotto Plus game. Since the addition of the new game, people’s chances of becoming winners and millionaires have greatly increased – much to the exhaustion of the in-house band ‘The Celebrations’. The 60-second TVC takes us through their hectic day-to-day schedule, playing ‘Celebration’ for the many winners of Lotto with Lotto Plus. The band tells viewers it didn’t used to be like this, ‘there used to be one or two winners a week, but now it seems like the siren never stops ringing’. Stephen Rogers, Creative Director at ROTHCO comments: “We discovered that people’s belief in winning the much-loved Lotto game had diminished over time, partly because most of the large jackpot winners choose to not go public. This meant we just couldn’t talk about them, so we had to reinstall that belief and make people fall in love with Lotto again. Thankfully, we had some new news to talk about, as the Lotto game was changing. The game was going to create even more winners and more millionaires than ever before. We knew this had to be our focus and we wanted to create a campaign that felt unexpected and avoided all the typical Lottery tropes of fast cars and speed boats. We decided to open the doors of the Lotto Headquarters to the public and show the fallout of all these new winners and millionaires coming through the doors on the people that worked there – in particular, the Lotto house band The Celebrations. The omni channel campaign will launch on Thursday 30th August 2018.